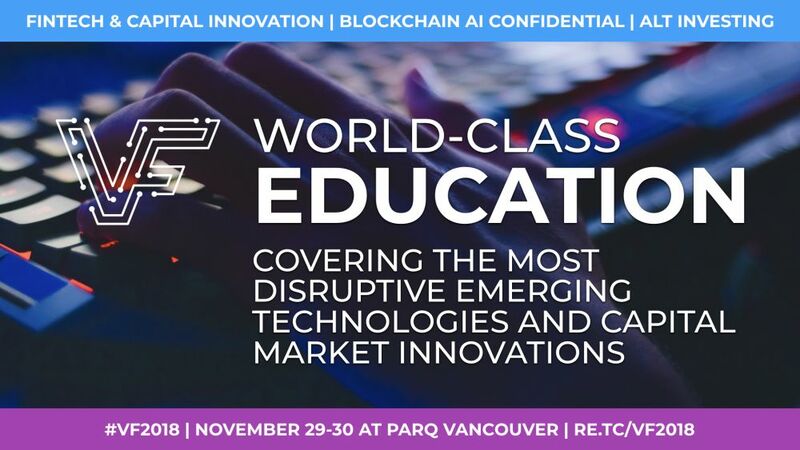 VANCOUVER, BC (FSCwire) - ACCESSWIRE / November 15, 2018 / VanFUNDING 2018: CONVERGE, an annual innovation, technology and capital event organized by the National Crowdfunding and FinTech Association (NCFA), will take place in Vancouver on November 29-30 at Parq Vancouver. The event will also feature its annual pitching program that will award three "Front of the Line"Dragon's Den Golden Tickets and other prizes to the winning startups. Startups selected to pitch include Flux Network, Capiche Capital Technologies, Very Good Butcher, Squamish Canyon, Drive Hockey, Veme, Moca Estimator, Symend and HeyBryan. The past year has been saturated with news about blockchain's capabilities and its potential to vastly alter traditional financial ecosystems. However, as Toufi Saliba, CEO of TODA Network, notes, ''The global penetration of [this technology] is less than 0.2 per cent, of which, the vast majority of blockchains are scams.'' While individuals should remain cautious about fraudulent businesses that have arisen from people looking to cash in on the hype, Saliba explains that the next wave of blockchain adoption and utilization will be ''like a tsunami, [where] you can partake in what's yet to be the most disruptive technology in human history, or ignore it and get disrupted." ''The ICO market has shifted towards securitized token offerings and we are pleased to be at the forefront of this change and enabling a true security token standard with Etherparty, which offers AML KYC controls on assets that are issued from financial institutions or companies looking to raise funds through equity financing,'' said Lisa Cheng, Founder and Head of R&D for Vanbex Group. VanFUNDING wouldn't be possible without the generous support of The National Crowdfunding & Fintech Association of Canada (NCFA), Toda.Network, Judi.ai, Vanbex Group, Northern Block, FrontFundr, REITIUM, FintruX, Holt Accelerator, TIMIA Capital, JJ Human Capital, Schulte Research and more. To follow National Crowdfunding and Fintech Association of Canada on your favorite social media platform or financial websites, please click on the icons below.